Almost 50,000 passengers took part in the autumn 2018 Bus Passenger Survey, which covered 49 areas and operations in England and nine in Scotland. The results from the independent watchdog which were released on Thursday 14 March assessed passenger satisfaction on a range of aspects including value for money waiting for the bus, and on the bus. 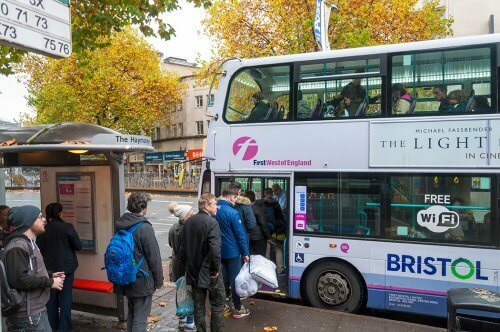 “Bus companies like trentbarton show what can be done when bus operators and transport authorities use the Bus Passenger Survey results to identify improvements for their passengers. “It is good to see improvement in overall satisfaction ratings for younger bus passengers. This builds on recent campaigning by Transport Focus to make bus a better deal for young passengers. “There are also huge variations in satisfaction with value for money ratings across England and Scotland, so there is still room for improvement. 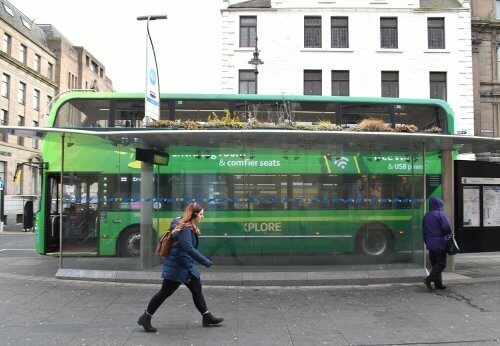 CPT’s Interim Chief Executive, Peter Gomersall, said: “For many people, the bus continues to be a lifeline and the only viable means of accessing work, education, the high street (shops) and social activities. “It is therefore vitally important that bus services meet passengers’ needs by being punctual, reliable, clean, affordable and comfortable. “And the latest Bus Passenger Survey results clearly demonstrate that the vast majority of bus operators are doing just that; delivering high quality, reliable services to passengers on a daily basis. Stagecoach Managing Director for Stagecoach UK Bus in England and Wales, Mark Threapleton, said: “These independent results show we are continuing to deliver a consistently high quality service for our customers and are a fantastic endorsement of the hard work of our employees across the UK every day. Reading Buses Chief Executive Officer Robert Williams said: “Just like every year we listen to what our customers say and use the results to help us make changes to make their journeys even better. We always seek to work alongside local authorities and utilities to plan for known roadworks. We go the extra mile for customers by re-deploying resources when emergency roadworks or abnormal congestion occurs. Go Ahead: Katy Taylor, Go-Ahead Group’s Commercial and Customer Director said: “This is true praise from our customers who scored us highly on punctuality and journey time. Our goal is to offer reliable, good value bus services which serve the needs of communities. “To match the industry’s efforts, we need tougher action from Scottish Government, Transport Scotland and local authorities to address the impact of car congestion which is damaging local air quality, slowing bus journey speeds, holding back our economy, pushing up the cost of transport for local people, and undermining the value of the bus. Trent Barton Managing Director Jeff Counsell said: “Our whole company is incredibly proud of these amazing ratings from the people who matter most – our customers. Overall satisfaction with the bus journey: TOP: East Sussex received the highest satisfaction rating with 62% BOTTOM: Swindon 34%. Xplore Dundee has recorded a 92% overall satisfaction rating – 1% higher than the result recorded during the last full survey in 2016. That also beats the Scottish national score of 91% (compared to 88% in England).